When we last left our tables they were happily producing a faithful list of the data points that we had in our graph. But what if we wanted more? From the original contributors that bought you tables (Shawn Allen (http://jsfiddle.net/7WQjr/) on Google Groups (http://stackoverflow.com/questions/9268645/d3-creating-a-table-linked-to-a-csv-file)) and some neat additions from Christophe Viau (http://christopheviau.com/d3_tutorial/) comes extra coolness that I didn't include in the previous example :-). So can we go further? In the section where we get our data and format it, lets add another column to our array in the form of a difference between the `close` value and the `open` value (and we'll call it `diff`). So now with our four columns of awesome data, it turns out that we're really interested in the ones that have the highest `close` values. So we can sort on the `close` column and display by adding the following lines directly after the line where we declare the `peopleTable` function (which I will include in the code snipped below for reference). Just a little snippet that capitalises the headers for each row to make them look slightly more authoritative. This is quite a tidy little piece of script. You can see it selecting the headers (`selectAll("thead th")`), then the first character in each header (`column.charAt(0)`), changing it to upper-case (`.toUpperCase()`) and adding it back to the rest of the string (`+ column.substr(1)`). Sure our table looks nice and neatly arranged, but would a border look better? And the result is a tidy black border. OK, so what about the individual cells? .style("border-collapse", "collapse")         // <= Add this line in. The `border-collapse` style tells the table to overlap each cells borders, rather than treat them as discrete entities. So in this case it looks a bit better. This file has been saved as table-plus-addins.html and has been added into the downloads section on d3noob.org with the general examples files. 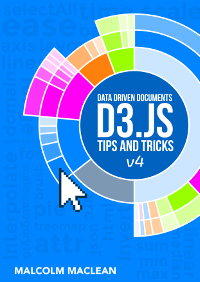 Why always show images of the rendered d3 output and not show the real d3 html/svg? At least you could link to a jsFiddle of your final version. There are three contributing reasons. 1. The images that you see here are actually the images that I create to put into the book (https://leanpub.com/D3-Tips-and-Tricks). So it's a one-stop-effort for me to grab the image put it into the book and then to (later) put them on the blog. So this IS the least I could do :-). 2. If I included the svg there is a good chance that some IE users would have trouble viewing them (I know the proportion is small, but even IE users need a break sometimes). Was just wondering if it was possible to update the values in the table, similarly to what you have done in the previous section to update a graph? That would be possible, but the method used in the previous post is a bit crude. 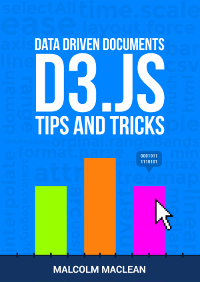 I really need to work on a more elegant mechanism for doing it that is more in keeping with the ethos of d3.js. I envisage either a regular check for updated values via a delay and then re-display (but nont in the same way as the previous post) or (more interestingly, a connection from an external socket. This would be the most interesting and extensible variation. Unfortunately it will take a while for me to learn how to do this. My best advice if want to pursue the table update is to have a play with a very simple example perhaps a single line of text) and then graduate to the table example. Good luck. Where is the example file "table-plus-addins.html"? 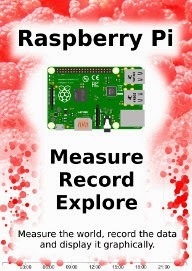 Cannot find it anywhere in your downloads page? Thanks! Really good question! 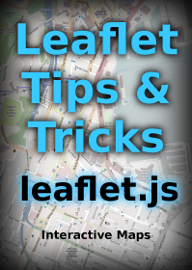 Since I posted the blog in 2013, I have moved the location of the code samples to be co-located with the book on Leanpub. You can download the book for free from here https://leanpub.com/D3-Tips-and-Tricks and once you have that you can download the code samples (still for free) This particular sample was renamed simple-graph-plus-table.html and you can also get a copy from the live example here http://bl.ocks.org/d3noob/473f0cf66196a008cf99 Interestingly, this is a mistake in the book that has existed for at least three years (and probably more) which no-one has picked up. I will edit the book now and re-publish it so that those who download it from now on will have the right info. Cheers!